Feeling self-conscious about your smile can really weigh you down day to day, and you can easily find yourself constantly worrying that people will notice, and judge you, based on your imperfect teeth. Now, thanks to cosmetic dentistry, we can give you the flawless smile you deserve so you can have one less thing to worry about. Whether you want just a minor touch-up or complete makeover, Dr. Swearingen and our team will know exactly what to do, so contact us today. 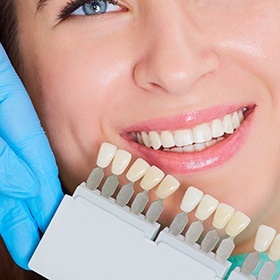 If you do not love your teeth, you can bring new life to it with a smile makeover. Individualized cosmetic treatments transform the appearance of your teeth to improve their color, size, shape, and alignment. You will enjoy natural-looking results to enhance your confidence. They are extremely thin ceramic coverings that are bonded to the front of the teeth, and they are always custom-made for every patient. You can get one to enhance a single tooth or a full set to transform your smile. 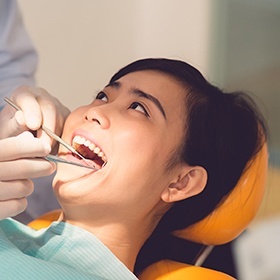 Thanks to metal-free, all-porcelain restorations, you now have nothing to worry about should you ever damage any of the front teeth that show when you smile. Dental porcelain can be shaped and shaded to mimic natural enamel in almost every way, giving you a restoration that is just as strong as it is beautiful. With this material, even our patients have trouble distinguishing where their real tooth ends and their restoration begins! Want to get rid of that one small stain, chip, or gap that has bothered you for years? Now you can in just one appointment thanks to cosmetic tooth bonding. For this, Dr. Swearingen will apply a tooth-colored composite resin to build up any damaged/missing enamel, and then he’ll use it to literally sculpt your tooth to perfection. The entire procedure usually takes less than an hour, and the results can easily last for 10 years or more. 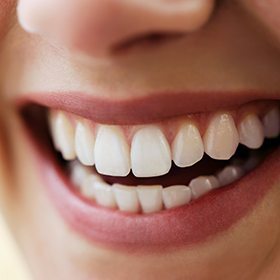 If you’re sick and tired of hiding your stained and discolored teeth, then we’re ready to offer you a premium whitening solution you simply won’t find on store shelves. 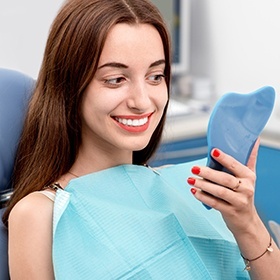 We can create your own custom-made kit consisting of specially-designed mouth trays and a bleaching gel so strong that you can only get it through a dentist. All you’ll need to do is use the kit for about 30 minutes a day for two weeks to reveal a smile that is up to eight shades brighter!